Please visit parks website for the latest deals and prices. 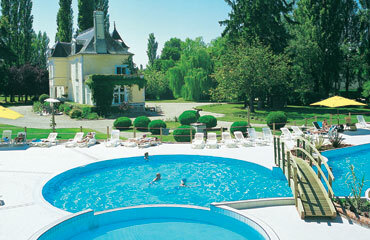 Ch�teau des Marais is set in the green and spacious grounds of an old manor house. A Michelin awarded �three red tent' site, it enjoys a lovely position close to the river Loire and the stunning Ch�teau de Chambord. Our grassy emplacements are shaded by mature trees, with plenty of space for children to run around. Families with young children will particularly enjoy this peaceful setting. The pool complex will be popular with children of all ages - it includes a covered pool, a lagoon pool, lazy river and waterslides. The popular bar and restaurant make an excellent place for a family meal or cooling drink. Please note that some facilities & activities are only available during high season. Please check at the time of booking if there is an activity or facility which is crucial for your holiday. 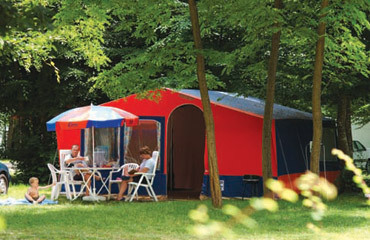 Our Canvas Maxi Tent sleeps up to 6, and is the ideal choice for a true camping holiday experience. With its unique and spacious design, it is a great opportunity to enjoy the great outdoors, but with all the creature comforts. The Maxi Tent is fully equipped with everything that you need for a great self-catering camping holiday, 21st century-style. 4 ring cooker, with grill and fridge with ice box. Crockery and cutlery is provided. Spacious living area with side awning that can be rolled up (access may be restricted on some campsites), ideal for alfresco living on your camping holiday. Double room and second twin room that can be divided by a curtain. Fully, sprung beds. Double room has wardrobe rail with captive coat hangers. Our campsites all offer toilet and shower facilities, located a short walk from our tent emplacements. Our modern fleet of mobile homes offers exceptional choice and great value for money - there is sure to be something to suit your family and budget. Our mobile homes are a real home from home - fully equipped with all you will need for your holiday. Our Classic mobile homes offer all the comforts of home at a very reasonable price. A natural choice for those new to mobile home living, they have 2 bedrooms with seating in the lounge/dining area that easily converts into an extra bed. There is a fully equipped kitchen, plus shower room and separate toilet. Double and twin bedrooms with storage space. Cot facility is provided. Shower room and sink with separate toilet. Our Choice mobile homes offer a little more space at great value for money. The bright and airy accommodation offers 2 bedrooms (a double and a twin), plus the seating in the lounge converts into an extra bed. There is a shower room and toilet, plus fully-equipped kitchen. Fully-equipped kitchen with cooking facilities and a fridge freezer. Open plan living area with dining table. The sofa easily converts into an extra bed. Double and twin bedroom with storage space. A cot facility is provided. Our Comfort Plus mobile homes are ideal for larger families or for 2 couples sharing. There are 2 bedrooms, a double and a twin (a drop down bunk sleeps an extra child on some campsites), plus an open plan living area with dining table and sofas that convert into an extra bed. Fully equipped kitchen with fridge freezer and cooking facilities. Double and twin bedroom (drop down bunk for an extra infant on some campsites). A cot facility is provided. Shower room with sink and toilet. Second toilet ensuite to twin bedroom. 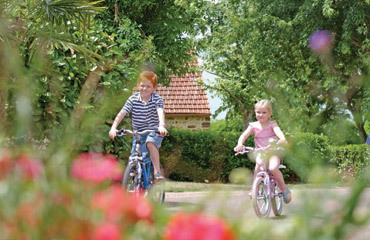 Our 2-bedroomed Select mobile homes are ideal if you are travelling as a larger family or have older children. For added privacy, the bedrooms are at opposite ends of the accommodation, each with its own en-suite facilities. The roomy, open plan living area offers a comfy sofa, dining table and chairs, plus fully equipped kitchen area. into an extra double bed. Double and twin bedrooms at opposite ends of the accommodation. A cot facility is provided. 2 en-suite bathrooms, each with shower, sink and toilet. For a camping holiday with a real difference, why not spend a night or two high above the treetops in our exciting new treehouses? The children will think it is a great adventure if you're on a family holiday, or it could be a perfect romantic break if you are holidaying as a couple. For added comfort, your treehouse price includes a fully-equipped Canvas Maxi tent pitched nearby, meaning that cooking and storage facilities are to hand. which offers a 4-ring cooker & grill, plus fridge with ice box. Open living space with table and chairs. 1 bedroom with a double and single bed and a second bedroom with 3 single beds. Travelling north or south on the A10, leave at junction 16 towards Mer. Once on the slip road follow for 3km onto the N152 heading towards Mer. After 2km on the N152 you will reach a turn off on the left hand side for Muides sur Loire. Take this turn off and follow the D112 into Muides sur Loire. 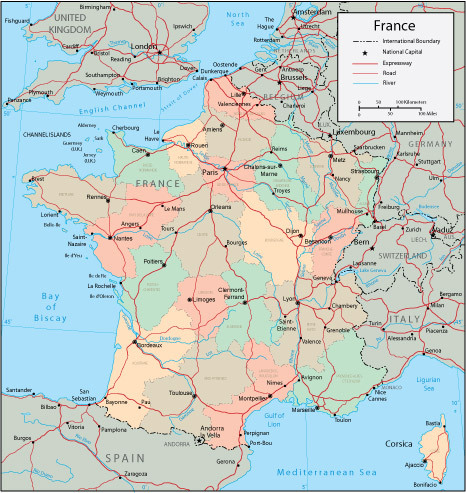 At the junction (next to the bar on the corner) follow signs straight on for Camping Ch�teau des Marais. Follow this road for a couple of minutes and take the first turn on your right - the campsite is about 200m down this road on the right. Please note that coming in this direction, the signpost to the site is not easily seen, beware that if you reach the junction sign-posted to Chambord, you have gone too far. The little town of Muides-sur-Loire is a five minute walk from site while the cathedral town of Blois is a few miles drive. The site is ideally placed for canoe trips down the Loire and gives access to marked cycle paths along the river and around small lakes. 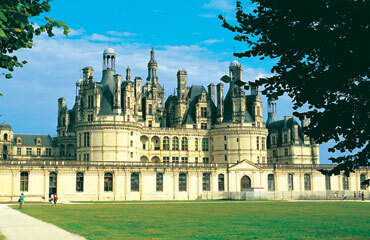 The town and ch�teau of Chambord are six miles away. Fantasy Forest (25mls) is a treetop adventure course and activity centre with varying degrees of difficulty that is great fun for children of all ages. Take a tour of Safari Train, home to a variety of species such as ostrich, bison and wild boar, all native to France, in Amboise (34mls). Have you been to Chateau-des-Marais? Please submit your review so that others can benefit from your experience. Important note: Information provided here about Chateau des Marais is based on our best knowledge. 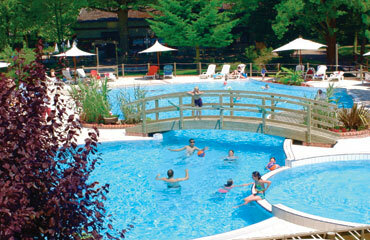 However, please check with Chateau des Marais before booking to ensure that you have the information required. Reviews are the sole views of the contributor and do not necessarily represent the views of this site, 4theUK Ltd or Chateau des Marais.